▷ Blaupunkt TravelPilot 700 update. Speedcam for your maps. Download update. Free custom download. 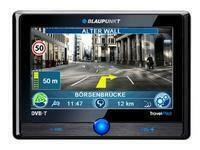 In order to update your GPS device: Blaupunkt TravelPilot 700 with the latest update, follow next instructions. First of all, be sure you got the update file for your Blaupunkt TravelPilot 700 device, downloaded from SpeedcamUpdates.com. In order to install the speedcam information into your Blaupunkt TravelPilot 700 device you have to download TPAssist application. Click the next link to download. Connect your Blaupunkt TravelPilot 700 device to your PC using USB cable. When your PC detect a new external storage drive, open the folder "./TravelPilot/Navigation/ownPOIs." In this folder you will see two subfolders called "Hints" and "Icons" . Delete the first one ( Hints) and delete all files with extension "bmp" from the second one (Icons). Now copy all files with extension bmp extracted from the SpeedcamUpdates zip file in the Icons folder. Now copy all files with extension "asc", you extracted before, into the folder "./TravelPilot/Navigation/ownPOIs". Disconnect your Blaupunkt TravelPilot 700 device from your PC. Then reboot it. After the Blaupunkt TravelPilot 700 device has booted, click in menu "/map settings/points of interest/my POI/speedcam" and activate the acoustic and visual alert.